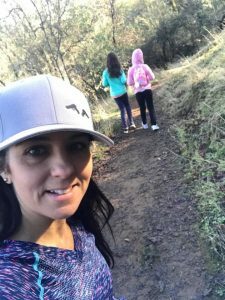 Ukiah Valley Trail Group | Great Trails. Close to Home. Hey Trail Fans, You have all been so patient. Yes, it was two years ago that you all voted all day every day to convince State Farm Insurance they should give us twenty five grand to build new trail. It was an incredible effort from our small community; it worked because so many of you pitched in. So for the last two years our team has been working to layout the trails and work on the environmental review documents (CEQA) that will allow us to build the trail. It’s been a lot of work and the City of Ukiah has been a great partner in helping us get it all done. As I write this, the CEQA document is out for public review. We’re confident it’s a quality document that will withstand any level of scrutiny, and confirm the project as a net gain to the health of our environment and community. We hope to have approval from the City in January to start work. Our new trail park will give us about four miles of new trail. This project is going to cost about $76,000. We have $25,000 from State Farm, and we’ve already matched that, but we’re still about $25,000 short. You get one of these letters from us every year, and with your neighbors you typically donate a total of $7,000 to $10,000. This year we need to raise $25,000. We need those of you who already donate to donate more this year, and we need to attract new donors as well. There are two ways you can make these trails happen; first, donate, and if you can, double of even triple your usual donation. And second, tell your friends about this project and tell them you’re donating. Tell them you gave extra this year because it’s so important. You can make this dream of Great Trails. Close to Home. a reality. Call to Action – Save our Railroad Corridor for Trail Use! The Good News: Senator McGuire’s Great Redwood Trail Act (SB 1029) passed the CA Senate without objection. Assemblyman Wood’s office does not expect it to have too much trouble being passed in the Assembly either. The bill has been supported by over 20 agencies and non-profits including the Ukiah Valley Trail Group and Walk & Bike Mendocino. 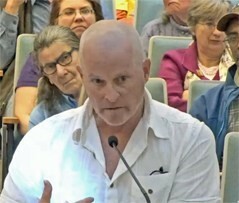 The bill will create a new agency to assume responsibility and ownership of the rail corridor from Willits north, and pass responsibility of the corridor from Willits south to the Sonoma Marin Area Rapid Transit (SMART). From Willits north the new agency will work to build a world class trail on the corridor that will link our cities with a safe active transportation route for hikers, bikers, and equestrians. From Willits South, rail service will continue to be a possibility but we expect a renewed effort to include trail alongside the rail. This trail could be a significant economic engine for our area and attract users from all over the country. The Bad News: Since its inception the NCRA has been saddled with a mission and no funding. As such, it has accumulated almost 10 million in debt. If SB 1029 becomes law without sufficient funding to clear the debt, it could end up in the courts, not pass through the Assembly, or simply return to a state of unfunded neglect and the rail corridor will continue to deteriorate. It is critical that the corridor be rail-banked to protect it for future Mendocino County generations before it is lost. The bill is also being discussed by Governor Brown’s office for consideration to be included in the state budget. It is essential that the governor’s office hear from as many trail supporters as possible about how important we believe the funding for this bill is. Action: We need your support to help move SB 1029 forward! Decisions on funding this bill will likely be made in the next couple weeks. It is important to have our voice heard NOW. Here are some additional talking points regarding SB 1029, the Great Redwood Trail Act. Please feel free to add anything personal about your vision of the Trail or the bill. I’m calling/writing from Mendocino County (or your place) to ask the Governor to support funding for Senator McGuire’s SB 1029, The Great Redwood Trail Act. We are asking the Governor to help find the funding needed to buy out the NCRA debts, and establish this new agency to build the Great Redwood Trail. It’s Time for Mendocino County to Support Trails and Parks! Mendocino County disbanded and defunded its Parks and Rec Department over twenty years ago – and our trails suffered because of it. Our trails deteriorated to the point where volunteers started working on them. 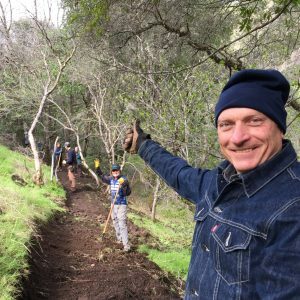 In the last ten years volunteer groups like the Ukiah Valley Trail Group, the Mendocino Coast Cyclists, and the Willits Area Cyclists have volunteered thousands of hours of trail work – with minimal to nonexistent support from the County. Although we believe we’re doing great work, we need – and our parks need – County support. It’s time for the County of Mendocino to devote Director level support AND financial support to providing quality opportunities for outdoor recreation in Mendocino County. All we ask is the County assign a Director level staff member (someone with the authority to approve projects) a few hours a month to oversee parks and trails AND that a line item be added to the budget to fund trail projects. If you agree, please sign our petition. Our approach has always been to roll up our sleeves and pitch in. But we can’t help if we can’t get projects approved. Are our parks and trails really worth so little? Is it really too much to ask that a little part of our County budget goes to trails? Mendocino County staff recently asked the Board of Supervisors for approval to investigate the possible benefits of consolidating administrative duties with a Director assigned to oversee the Library, Museum, and Parks. In this scenario, a new Cultural Services Agency would be formed. The BOS did direct staff to look into ways administrative service could be consolidated without negatively impacting direct services. Karen Horner, the Director of Libraries, has been mentioned as a likely Director to take on additional duties. Ms. Horner has said she feels she has the capacity to do this without a diminution of library services. A group of very vocal library advocates are adamantly opposed to the County even considering this. Despite all evidence to the contrary, they are presenting this as a threat to library funding. This doesn’t have to be a zero sum game; the County can budget resources to parks and trails without abandoning our libraries and museums. We can have our trails, and read about them too. It takes more than shovels. Trail advocacy in action. Building and maintaining trails on public property is only possible with the permission of the land owner or manager. With trails on County property this is often difficult because the County doesn’t have a Parks and Rec Department; so there isn’t really anyone in charge for us to speak with. Mendocino County staff recently asked the Board of Supervisors to investigate consolidating administrative duties with a Director assigned to oversee the Library, Museum, and Parks. Mr. Davis went on to explain how we have missed opportunities for grants and haven’t even pursued some projects due to the unavailability of support from County Staff. The meeting was packed with many people adamantly opposed to County staff even considering a consolidation of administrative services. We understand that libraries and museums are important, but feel that we also need parks and trails. Our approach has always been to roll up our sleeves and pitch in. But we can’t help if we can’t get projects approved. Are our parks and trails really worth so little? This doesn’t have to be a zero sum game; we can budget resources to parks and trails without abandoning our libraries and museums. Your support allows us to devote a small amount of our time to advocating on behalf of trail users. What’s that thing on the rail trail? 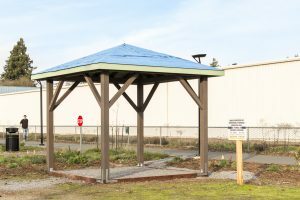 You may have noticed a new structure at the Norton Street entrance to the Ukiah Rail Trail. You might have wondered what the heck is that? Well…., it’s going to be part of a rain water collection and native plant demonstration garden. Why? Because we want to make the rail trail nice. We’re super proud to have taken a lead on the project. 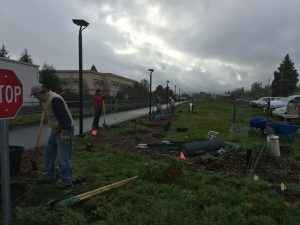 Thanks to funding from the Community Foundation of Mendocino County we’ve been able to coordinate with the Sanhedrin Chapter of the Native Plant Society and the Mendocino College Sustainable Construction and Technology Program to get this sucker built. It’s not quite finished yet but we’re on track. We’ve had great support from Menton Builders, Hawkes Construction, and Clark Construction. When complete, there will be a water collection tank inside the gazebo and water it collects will be used by volunteers to water the native plants we’re putting in along the trail. This Spring we’ll be coordinating with the Sanhedrin folks to develop and place informational signs explaining about the project and how people can use rainwater harvesting and native plants at home! The hats are being sold for $20 and are available for pick up at the UVTG office at 413 N State St in Ukiah. Over sixty people joined us for our annual New Year’s Day Hike at Low Gap Park. Hikers split into two groups with about half taking the “one-loop” 3 mile option and the other half adding a loop for an approximately four mile hike. The routes were marked with flour arrows so people could find their way and hikers were provided with maps to help. There were enough people hiking to ensure that there was almost always someone else in sight. 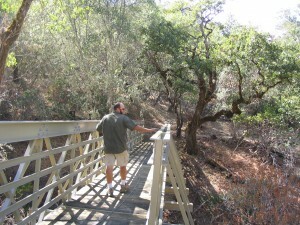 “The hike was really well organized and marked. It was my first time doing the hike but it was really fun and a great way to start the New Year,” said Toni Wheeler. Janie and a number of other hikers brought snacks and treats that were shared both at the end of the hike and the lookout bench near the top of the City View Trail. Although it was great way to start the new year, don’t wait for next year to hit the trail! Trails don’t build themselves! But with the support of our community, donors, volunteers and people like you – they do get built; and maintained! Our great board isn’t afraid of a little hard work, and they also know how to get all the paperwork done. 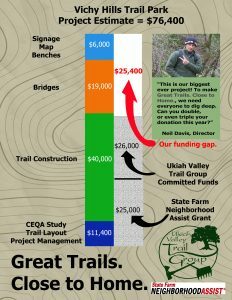 Thanks to your input we are making progress towards building new trail on the east side of the Ukiah Valley. Hundreds of people like you volunteer time and donate money to make sure we have Great Trails. Close to Home. Can you join them this year with a personal donation? Your support allows our community to maintain and expand access to the natural wonders and health benefits available on our public lands. When you hike or bike our local trails you’ll rest easy knowing your support is allowing us to move forward on building 4+ miles of trail at the new Vichy Hills Trails park. You’re funding the preparation of a reroute of the bottom of Valley View Trail with gentler grades that will allow you and your friends to keep using the trails even as you get older or as you have kids. Your sustaining donation will lead to the first sections of trail along Orr Creek that we refer to as the Orr Creek Greenway. Imagine walking a trail from Low Gap Park to downtown! Will you make it happen with a donation today? We’re going to join Hearthstone Village again this year for a super fun time out at the Frey Ranch. It will be a load of fun for the entire family. Our Board Member Andrea Davis is in charge of the wood-fire baked bread and there will be home brewed beer tasting, wine tasting, local food and a bunch of activities for the kids. We also will have a silent auction that has some “great deal” potential. Donate to a great cause and go home with the righteous shwag! Please by your tickets in advance online! When you do, you give us the money and you get to go to the event! Buy your tickets online or from a UVTG rep and 100% of the ticket price goes to the UVTG to support our work! For tickets, call 467-3217 or email info@mendotrails.org Tickets: $20 Adults; $5 Children 5-12; Under 5 for FREE! Can you volunteer to help? Many hands make light work, give us a call at 972-0926 or email info@mendotrails.org. Strike Force Six – At Your Service! 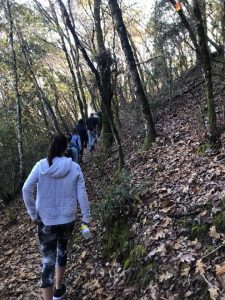 The Ukiah Valley Trail Group (UVTG) has created a new team of volunteers they refer to as their Strike Force Six to deal with trail maintenance issues that are a long way from the trailhead. 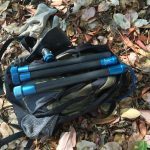 The volunteers are primarily mountain bikers and the trail group has purchased six sets of specialty tools and packs to make sure the Strike Force can quickly travel from the trailhead three to five miles down the trail to where the work is needed. The tools have handles that can be broken into pieces and matched to interchangeable heads that can be affixed to the handles. The ability to disassemble the tools allow them to be carried in a hydration pack carried by the mountain bikers. The UVTG formed in 2004 in response to a trail system that was in dire need of maintenance. In those early years almost all the trails needed significant amounts of work and trail crew leaders could assemble large groups of volunteers for a full work day with no shortage of places to work. Over the years the crews have caught up with most of the basic maintenance needs. That’s where the Strike Force Six comes into action. With the specialty tool packs the volunteer mountain bikers can bike to the site in a fraction of the time it would take a team to hike to the same spot. Once at the site, they can take off the packs, assemble the tools and get to work. As a group, mountain bikers tend to be fitter and stronger than other trail users. Hike-in Strike Force days may be scheduled, but typically it will be mountain bikers who are experienced trail volunteers. The UVTG will continue to hold its traditional eight work days a year to deal with larger projects as well as hire contract labor for even larger projects. Volunteer trail work typically happens between October and May when temperatures are not so hot and the ground is softer making it easier to dig and shape the trails. 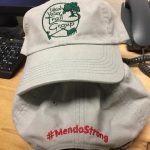 For more information on the Ukiah Valley Trail Group or to learn more about helping as a volunteer or donor go to www.mendotrails.org ,call 467-3220, or email info@mendotrails.org. The Ukiah Valley Trail Group (UVTG) is disappointed at the recent discussions of closing Lake Mendocino for some, or all, recreational activities. 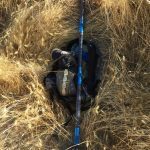 The UVTG originally formed in 2004 in an effort to support our understaffed and resource poor local land managers, including the US Army Corps of Engineers (USACE) at Lake Mendocino. We are proud of the work we have been able to accomplish in cooperation with the USACE and staff at Lake Mendocino. With the cooperation of their professional but overworked staff we have built 5 miles of new trail on the east side of Lake Mendocino. We rerouted an additional three plus miles of trail on the south side of the lake to improve user experience and sustainability. We built a 60 foot fiberglass bridge as part of our efforts to ensure that trails will be accessible even when the lake is at its highest levels. Our Director even presented at a regional USACE Ranger training speaking to the amount of work that can be accomplished with this kind of public-private partnership. The USACE Operations and Management Plan of 2013 estimates that Lake Mendocino attracts over five hundred thousand visitors per year bringing 5.6 million dollars in economic benefit to the Ukiah Valley. Unfortunately, the resources committed to Lake Mendocino have continually declined over the years. The USACE has operated the Lake Mendocino facility without a Park Manager and/or Supervisory Ranger and with unfilled ranger positions for at least six years. Without a Park Manager they have also struggled to fill seasonal ranger positions and contracts for support services have been neglected. Â The UVTG has provided the USACE with a trail plan outlining a number of trail improvement projects. However, the lack of leadership and staff has limited us to basic trail maintenance projects for three years while we await approval of our next significant project. Although we have a signed agreement with the USACE to raise funds for recreational support projects at the lake, we have been unable to take advantage of this opportunity as managerial staff is unable to provide the necessary support or approval of our efforts. In sum, the staff at Lake Mendocino are too short staffed to effectively accept help. Our mission is to create and maintain a trail system that will improve our community’s quality of life and health. As such, our commitment to providing support to Lake Mendocino staff in managing this valuable resource, and our commitment to representing our community will continue unabated. We want to thank Jared Huffman who has already responded with a letter to USACE leadership to find the resources to maintain this valuable community resource. We ask for you to join us in supporting the remaining staff at Lake Mendocino while we together implore our local elected officials to find a way to keep our Lake Mendocino open. Here’s a great chance to support our local trails and maybe, just maybe,…. win a wonderful quilt crafted by award winning quilter Laura Fogg. Laura’s art quilts have received numerous awards and we are so thankful for her support. This quilt is entitled “Waiting” and is 33″ x 48″ inches. We like to believe we’re pretty good at designing, building and maintianing trails; but we have to admit, we’re really crappy at selling raffle tickets. Please take pity on us and buy some so Laura will like us ( it will also be good for our trails!). You can BUY TICKETS RIGHT HERE or send us a check to UVTG 413 N State St Ukiah, CA 95482. Winter storms led to high water on Orr Creek and in turn led to a trail wash out on Orr Creek trail. Our great volunteers buttoned up their sleeves and got immediately to work. Nineteen volunteers put in just shy of 100 hours and rerouted the trail to a safe position. We were pleased to have a few Ukiah High School students come to help as a part of their senior project! So we had high school seniors and AARP seniors working side by side. Thanks to our trail day sponsors Peregrine Chapter of the Audubon Society and North Coast Opportunities. 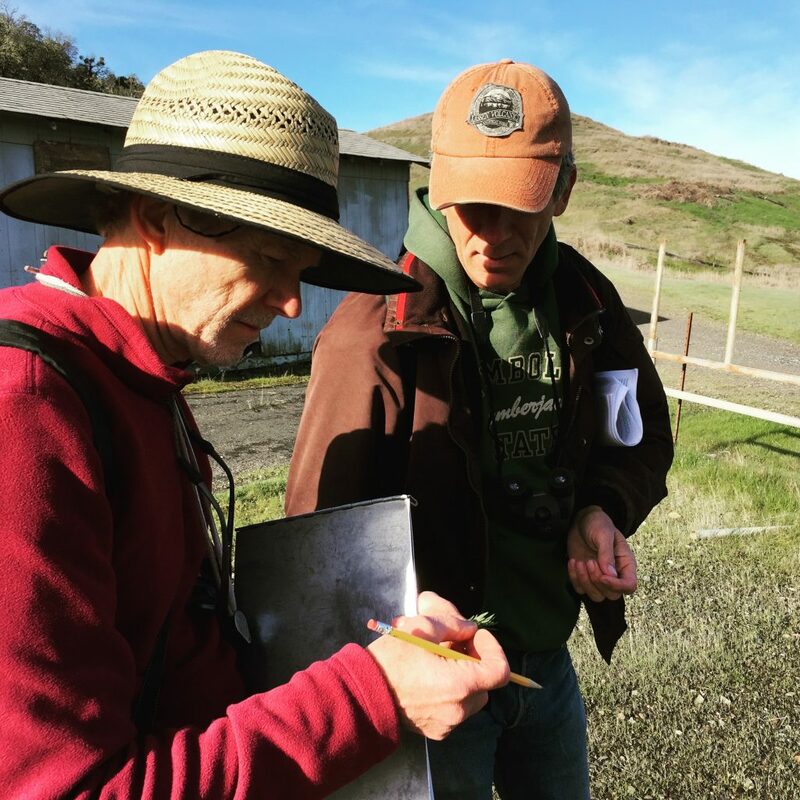 Lead Botanist and #ActualLivingScientist Kerry Heise with Jim Xeogeanes and a team of volunteers from the Sanhedrin Chapter of the CA Native Plant Society have begun a botanical survey of the site. Planning for our Trash to Treasure trail project is underway. 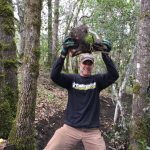 Thanks to your support and daily voting we were able to secure Neighborhood Assist funding from State Farm to plan and build new trails at the old dump site on the east side of Ukiah. “We’ve had to squeeze the layout work in between storms, but we have a rough plan for where the trails will go now” stated project leader Neil Davis. “I’m really excited about the potential for some new and really great trails close to home. The first botanical survey was performed last weekend. The survey work will be led by #actuallivingscientist Kerry Heise. Expert members of the local Sanhedrin Chapter of the Native Plant Society (CNPS) are helping keep project costs down by assisting Mr Heise. Botanical surveys will continue through the spring and will be used to prepare a CA Environmental Quality Act study. Our hope is to have the document complete by the end of summer. Jen Ridell is the Co-chair of the Sanhedrin CNPS group and is also active with the CA Naturalist program at the Hopland Field Station. She and the team will be logging many of the plants they identify at the site on the iNaturalist site. In the future, trail users will be able to use the site to help learn about the plants of the area. Ukiah Valley Residents Outcompete the Big Kids! Ukiah Valley outvotes much larger Cities to get funding. BLOOMINGTON, Ill. (Nov. 30, 2016) – After 1.8 Million votes were cast by 72,000 people in just 10 days, State Farm is proud to announce the Top 40 vote-getting causes that will receive grants to improve their communities. State Farm Neighborhood Assist is a crowd-sourced philanthropic initiative that empowers communities to identify issues in their neighborhoods. The affiliated nonprofits of the top 40 causes will each receive a $25,000 grant to create and execute a plan to address the cause. The top 40 causes represent 25 states from around the nation. The Ukiah Valley Trail Group’s “From City Dump to Community Park” project was a top vote getter despite competition from much larger communities and Cities. Of the 2,000 cause submissions that were received through State Farm Neighborhood Assist, at least one cause was received from every state in the U.S. Then, the State Farm Youth Advisory Board, a diverse group of 30 students who are passionate about social responsibility, reviewed the cause submissions and selected the 200 finalists to be voted on. In the five years of the program, 200 causes have received a total of $5 million to enact change in their communities. Thanks to State Farm’s Jay Epstein for all his help! What’s trail access worth to you? Help us keep our trails open and in good repair with a donation to our general fund!